Sewage backup is often a nasty business, the last thing that anyone wants to deal with in the picturesque city of Sunrise. That is why the sewage backup Sunrise experts agree that 911 Restoration Miami is the first number you should call when experiencing these issues. With over 35 years of experience we are the industry leaders and can solve any sewage backup and cleanup problem big or small. In Sunrise, golden rays stream down year-round, bathing residents and visitors in a never-ending splendor that’s hard not to fall in love with. But even with a name like Sunrise occasionally the rain still pours. And occasionally that rain can cause sewage backup issues that can put even the most beautiful houses of Sunrise in a nasty situation. That’s why our sewage backup and cleanup services are available 24/7 to solve any sewage issue you may have. So call us today and find out everything restoration related, from what to do in heavy rain, to who to call if you have a pipe burst! We do expert removal or repair of everything from the common pipe burst, faulty water heater, damaged fire sprinkler, washer burst or even a defective sewage back flow valve. Our black water, grey water, and returning water extractions are second to none in the industry. We are capable of handling any plumbing issues you may have including leaks and toilet overflow. We offer information on preventative care for your home such as maintenance on sump pumps, gutters, and downspouts. We are specialists at mold remediation, mold decontamination, water removal, and all associated mold remediation techniques. We have ample experience with category 3 situations and the solutions. Our highly skilled sewage backup Sunrise crews are to thank for our streamlined process, as they quickly and painlessly clean up even the nastiest sewage jobs. We use only the latest drying technology, ensuring that your carpets or crawl space stays mold free. 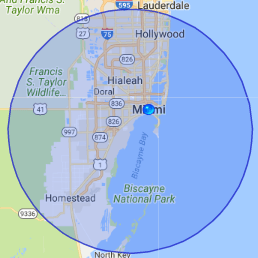 In addition, we respond within 45 minutes, day or night, making us the premier choice for emergency sewage work in Sunrise. Check out our testimonials from satisfied customers who had similar sewage backup problems. We are confident that no other team brings our experience, dedication, and value to the customer. Sewage backup doesn’t have to be expensive if you use the right company, so call 911 Restoration Miami to find out more about our top-notch restoration services. Our sewage backup Sunrise team know that sewage backup doesn’t have to be expensive if taken care of immediately. And we know that there’s nothing as frustrating as spending hard-earned money on unexpected plumbing and sewage problems. That is why we are committed to providing our services at an affordable price. We bring the ideal combination of training, equipment, and attitude to every job we undertake, big or small no matter how disgusting. As a sign of our commitment to the community, we offer a free inspection to all Sunrise residents, so our customers can get an idea of the scope of the challenge ahead. We also have experience working with all insurance companies so often times we can make sure that you don’t have to pay out of pocket for sewage cleanup. So give us a call today and find out about all of our restoration services, or general information like what you should do if you find mold in your home! Our sewage backup Sunrise team has confirmed that the safest and easiest option is to call the experts at 911 Restoration Miami immediately. We have seen plenty of mold in our day, and that’s how we know that mold spores, fungus and general infestation are a truly toxic environment and can become a potential health risk to you and your family. Mold proliferation, especially black mold can cause serious health problems including congestion and even respiratory problems. With our decades of experience in restoration services, you’ll be able to enjoy a safe and clean home in no time. We are licensed, insured, and bonded, so you can rest assured that the job, your health and your house, are in good hands. Keep our number handy and call us if you ever need help with any water damage restoration services.